Locally Owned and Serving Las Vegas Since 2009! diagnostics was by Hippocrates 480 BC. Powerfully accurate, painless and risk free early detection of fast growing tumors and chronic conditions. 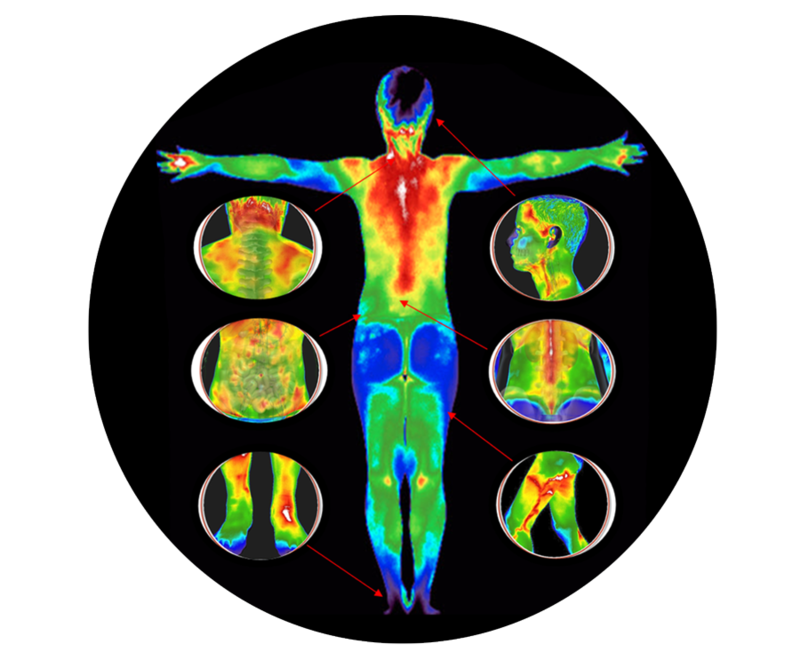 Thermography, also known as Digital Infrared Thermal Imaging (DITI), uses infrared heat to detect early stage cancers, inflammation, and other ailments. By measuring infrared heat, thermal imaging is unique in it’s ability to map out pathology. Thermography, FDA certified since 1982, is an unsurpassed, safe and non-invasive cancer & disease screening technique that can detect signs of breast cancer up to ten years earlier than is possible using traditional mammography. When you create your unique "pathology map", inflammation and other conditions can immediately be detected that may go unnoticed by x-ray and other anatomy based tests. Using the body's natural response to pain, pathology, injury, or dysfunction, clinical thermography measures infrared heat. While other diagnostics such as ultrasound, radiography and mammography show the body's structure or anatomy, DITI (Digital Infrared Thermal Imaging) is unique in that it shows physiological and metabolic processes. 1 in 8 women will develop invasive breast cancer in her lifetime. Early detection saves lives. Although changing recommended breast cancer screening guidelines have left many women feeling confused - what is clear is that we must act proactively instead of reactively in the fight against cancer. Women today who are ineligible for traditional mammography, and those who are concerned about harmful radiation or compression, are seeking a better alternative. Thermography seems to be that choice - while providing a value counterpart to traditional cancer screening techniques. Thermography is specially designed to catch small fast growing tumors before many other anatomical based methods. Get peace of mind - make your appointment today.